The exciting potential of the IIoT is to create bold new intelligent machines and vast distributed systems. The IIoT will change the world across many industries. The applications define the future: renewable energy, microgrids, wind power-along with cars that drive themselves, smart medical devices and hospitals. BY CONNECTING PEOPLE TO VAST STORES of information, the Internet and smartphones made a profound impact on the world. There are about one billion nodes on the Internet, including laptops, computers, and servers. The mobile revolution added about five billion smart phones. However, these pale in comparison to the next wave of connectivity. The Internet of Things (IoT) promises to connect up to 50 billion devices in just 5 years. The IoT will dwarf the Internet by a factor of 50, and the mobile revolution by a factor of 10. The profundity of that statement is difficult to overstate. The IoT will revolutionize everything from how you live to how the electric grid generates power. Some IoT applications are still about people, such as wearable smart glasses and smart home thermostats. But the vast new opportunity is about infrastructure in industry. Smart machines will change the world economy more than anything since the industrial revolution. These smart machines will combine to form an Industrial Internet of Things (IIoT) that connects devices into truly intelligent distributed systems. This article focuses on that IIoT opportunity, and a networking standard called the Data Distribution Service (DDS). DDS powers real-world IIoT applications in medicine, transportation, energy, SCADA and more. It is capable of building full "sensor-to-cloud" integrated systems that connect operational systems with cloud analytics. This system-wide integration is the key to enabling the IIoT. With routing and cloud technology integration, a DDS-based framework can integrate systems from deeply-embedded platforms all the way to cloud-based big data analytics. There is no way to build large distributed systems without connectivity. Enterprise and human-centric communications are too slow or too sparse to put together large networks of devices that need ultrafast connections. These new types of intelligent machines need a new technology. That technology has to find the right data and then get that data where it needs to go on time. It has to be reliable, flexible, fast and secure. Perhaps not as obviously, it also must work across many types of industries. Only then can it enable the efficiencies of common machine-based and cloud-based infrastructure for the IIoT. DDS technology is not like other middleware. It directly addresses real-time systems. It features extensive fine control of real-time QoS parameters, including reliability, bandwidth control, delivery deadlines, liveliness status, resource limits and security. It explicitly manages the communications data model, or types used to communicate between endpoints. It is thus a data-centric technology. Like a database, which provides data-centric storage, DDS understands the contents of the information it manages. DDS is all about the data. In fact, RTI calls DDS a "DataBus." At its core, DDS implements a connectionless data model with the ability to publish and subscribe to data with the desired quality of service (QoS). Participants are either publishers of data, or subscribers to data. A DDS-based system has no hard-coded interactions between applications. The DataBus automatically discovers and connects publishing and subscribing applications. No configuration changes are required to add a new smart machine to the network. The DataBus matches and enforces QoS. DDS overcomes problems associated with point-to-point system integration, such as lack of scalability, interoperability and the ability to evolve the architecture. It enables plug-and-play simplicity, scalability and exceptionally high performance. Perhaps the best way to understand DDS is to examine the systems that use it. Applications span the energy, defense, transportation, industrial automation and communications industries. Industrial-strength data sharing can improve power generation and distribution, monitor and optimize use, and even power new business models and energy business systems. Energy systems are key infrastructure. They have many needs, but share key requirements for high reliability, performance, scale and security. Many are distributed over a wide area and encompass local and wide area networks. The GC Dam is the biggest power plant on the continent. Up to 300 thousand data values flow through the system. Everything is coordinated by a fully-redundant control room. It is perhaps the most challenging and mission-critical control system in the power industry. The old system was monolithic and hard to maintain. The new DDS-based control system is modern, distributed, secure and ultra-reliable. The greatest challenges are extreme availability, fault tolerance, performance, security and wide-area communications. Locally-managed microgrids can incorporate local demand and generation fluctuation much more efficiently than central-office-controlled designs. Integrating legacy infrastructure makes the design practical. Modern wind turbines have blades that sweep a 120 meter circle, cost more than one million dollars, and generate multiple megawatts of power. Each turbine may include up to 1000 sensors and actuators, integrating strain gages, bearing monitors and power conditioning technology. 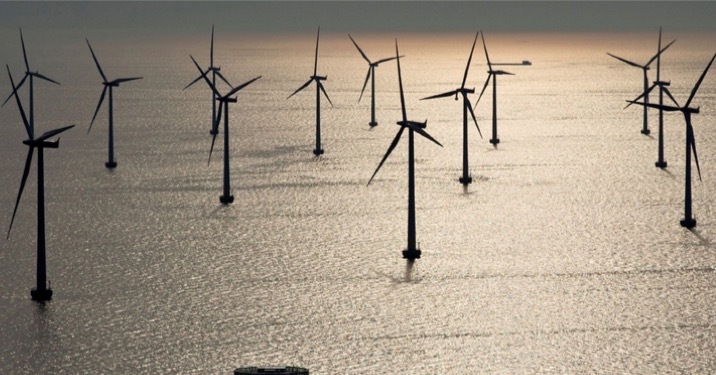 The real challenge is integrating turbines together. A farm may include hundreds of turbines and must implement a truly distributed control system. In a storm, the control system must decide how to take energy out of gusts to generate constant power while managing the loading and potential damage to a half-billion-dollar installed asset. With DDS, a Siemens Wind Power farm is a smart, distributed machine. It optimizes power. It monitors its own health. It reacts to its environment. It epitomizes the power of the Industrial Internet of Things. Siemens Wind Power fields farms of 500 turbines with over 100 million blades. RTI Connext DDS enables fast control within turbines and distributed gust mitigation across the array. Dynamic loads and sources such as solar panels and local wind generation, and charging electric vehicles change the game for distribution control. The old designs, consisting of central offices balancing power to substations over long, slow lines simply won′t work. The new designs require local, fast control, backed by intelligent generation and distribution architectures. The DDS-based microgrid architecture is being deployed at Canada′s largest utility by LocalGrid, an RTI partner. It improves grid responsiveness, reduces operational risk and improves quality of service. Healthcare is in transition. Advanced device connectivity will change medical practice, lower costs, and improve patient outcomes. Hospital error is a leading cause of preventable death. Thousands of errors occur in hospitals every day. Many of these errors are caused by false alarms, slow responses, and inaccurate treatment delivery. By networking devices, alarms can become smart, only sounding when multiple devices indicate errant physiological parameters. Smart drug delivery systems can react to patient conditions much faster and more reliably than busy hospital staff. Integrating whole hospitals with thousands of devices presents scalability, performance and data discovery challenges. To prove the DDS design viable for a large customer, RTI simulated a portion of a 1000-bed hospital with over 100,000 devices. DDS handled realistic scale, performance and discovery. Since it is important to communicate real-time waveforms and video, the potential network-wide dataflow is large. DDS filtering, and the ability to propagate those filters to the sender, eliminates wasted bandwidth. Integrating whole hospitals with thousands of devices presents scalability, performance and data discovery challenges. To prove DDS design viability, RTI simulated a portion of a 1000-bed hospital with over 100,000 devices. DDS handled realistic scale, performance and discovery. Since it is important to communicate real-time waveforms and video, potential network-wide data ow is large. DDS filtering, and the ability to propagate those filters to the sender, eliminates wasted bandwidth. The DDS Routing Service chooses the correct information from each lower-level system and translates it into the "language" (data model) needed higher in the hierarchy. By also passing along QoS parameters, the entire system will look, at any one level, like a single logical data space. A modern CT imager generates X-rays by firing high-energy electrons at a spinning tungsten disk. Beam formers direct the X-rays through the patient to collimating receivers. The system spins on a gantry 360 degrees around the patient fast enough to freeze motion. The controller must get all the parts ready and fire them at the right time to coordinate with the patient′s heartbeat. Then, it sends megabytes of raw data to a processor to back-project a 3D image with minimal patient exposure and the utmost care with patient safety. RTI Connext DDS integrates all these pieces in real time. With precise quality-of-service control, it delivers the feedback and event signals fast enough to ensure a quality image. Large companies need a common platform that can be reused across product lines. 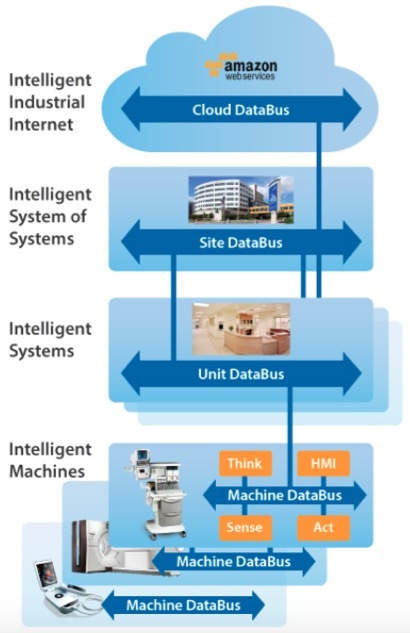 According to J. Gustavo Perez, General Manager for MI&CT Engineering, "GE Healthcare chose the DDS standard because it can handle many classes of intelligent machines. RTI Connext DDS satisfies the demanding requirements of our devices and supports standardization on a single communications platform across product lines." High-energy proton beams have little interaction with tissue until they reach a critical speed. Then, they deposit nearly all their energy in a very short distance. Proton therapy lets physicians tailor radiation doses to attack tumors while minimizing radiation damage. This requires a particle accelerator, a superconducting synchro-cyclotron, scaled down to fit in a large room. The cyclotron controls extremely rapidly-changing magnetic fields to accelerate and contain speeding protons. The control system handles patient positioning, treatment planning, motion control, beam scattering, field shaping, magnetic control, ion sourcing and dosimetry. It′s an intelligent machine that′s accurate enough to zap a retinal cancer without damaging vision. In an intelligent patient-controlled analgesia system, the supervisor combines oximeter and respirator readings to reduce false alarms and stop drug infusion to prevent overdose. Real-time distributed connectivity will forever change transportation. From smart cars to intelligent tracking systems, things that move are fast moving into the Internet of Things. Volkswagen is implementing driver assistance and integrated safety with DDS. The system helps avoid obstacles, detect lane departures, track eye activity and safely negotiate turns. DDS connects all the components into a single intelligent machine. In 2013, VW demonstrated a version running on an electric vehicle. It was able to drop off its passengers, drive autonomously down the block to a recharging station and then return fully charged. Driverless car technology is rapidly becoming reality. Security is typically system specific, with a different combination of security features applied at critical interfaces or boundaries. Now data can also be protected while in transit and at critical locations on networks, and protection can be attached to the data itself. There are hundreds and hundreds of DDS applications, including distributed vehicle testing at Audi, control of advanced mining machinery at Joy Mining, huge SCADA systems with 300k points at NASA KSC, real-time voice and video communications at Excelis and PLC communications at Schneider. DDS has application proof points in dozens of industries across the range of the IIoT. Reliability: Five minutes (or less) of downtime is considered failure, or even disaster. Performance or scale: The system expresses timing needs in milliseconds or microseconds, or connects hundreds of applications, or deals with tens of thousands of data values. Longevity: The code life cycle is at least three years, requiring coordinated development and application evolution. Any application that checks all three boxes can really leverage DDS. No other technology comes close. Even the metrics that other technologies use are inadequate. For instance, enterprise systems talk about "five 9′s" of reliability, which translates to about 5 minutes of downtime a year. This may suffice for a website or business system. But would you fly in an airspace that drops air traffic control "only" once a year? Would the economy succeed with a power grid that "only" fails every few months? The IIoT must meet very different expectations. The CT scanner controller uses dozens of processors for precision control and data processing. It coordinates the gantry, patient heartbeat, emitter, and scanner. A high-speed bus collects the results and processes them into a 3D image. 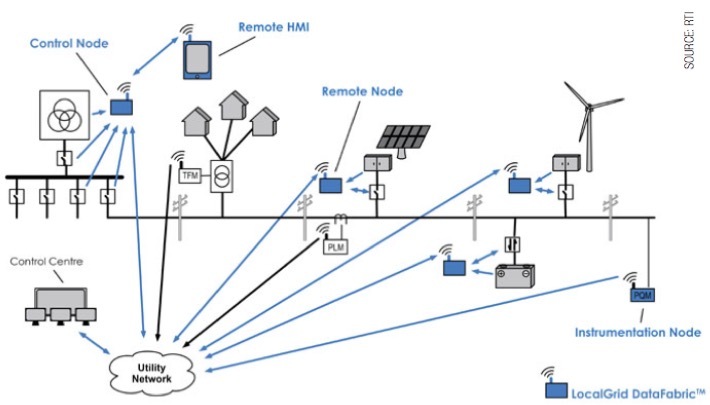 Tomorrow′s IIoT systems won′t just connect real-time operational systems. Future systems must optimize performance, predict maintenance issues and provide system-wide intelligence to business systems. These operations require deep integration between the real-time control and cloud-based big data analytics. To support these integrations, infrastructure services will be needed to build larger systems. 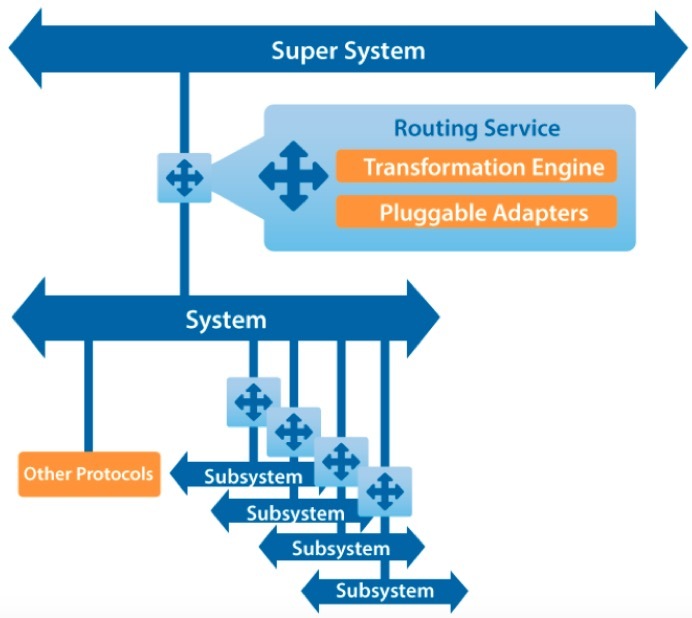 The RTI Routing Service provides the needed subsystem bridge. Routing is the process of assembling a hierarchy of local intelligent machines into connected units, sites and larger cloud-based system infrastructures. Routing Service works by connecting data models. It allows systems to translate and export the right data. It enables system-of-systems integration. This is critical, because large systems must develop independently. 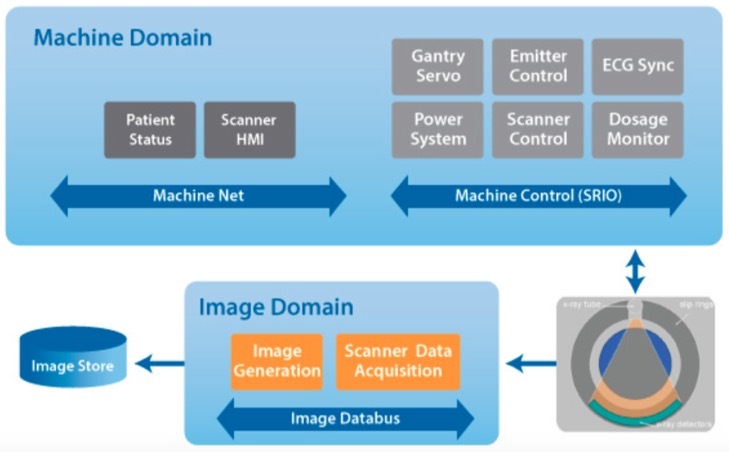 The developers of a hospital CT imager, for instance, can create the data model needed to control the system. 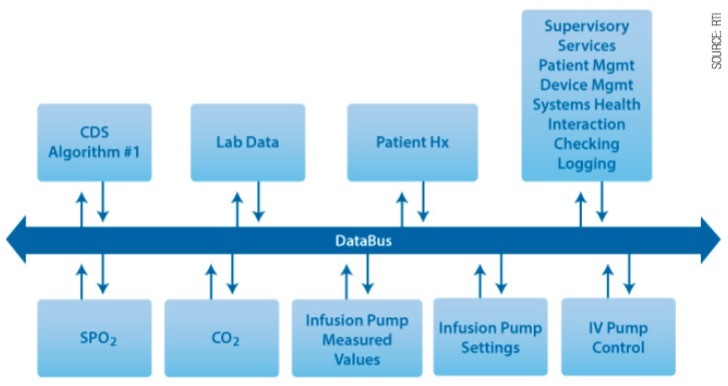 Other hospital systems such as ventilators, ECG monitors and drug delivery systems will obviously need very different machine dataflows. Thus, each will have very different data models, implementation timing and upgrade paths. By controlling data export, Routing Service buffers between systems. Of course, Routing Service must also combine systems. The next level up, for instance, needs common data such as use statistics, location information and patient health records. The Routing Service enables the implementer of a common framework to convert the correct data from the lower-level system into the data model of the encompassing unit. The really exciting potential of the IIoT is bold new intelligent machines and vast distributed systems. DDS itself is a unique communications technology designed to handle data at physics speeds. It offers controlled access to exactly the right data, extreme reliability, security and scalability that real-world infrastructure needs. DDS technology is also proven on real systems representing the breadth of the IIoT. From day one, DDS evolved on challenging real-world industrial systems across dozens of industries. It is the only common platform in such widespread actual use. The future of the IIoT must integrate these proven applications into larger systems-of-systems that bring the power of cloud analytics and business intelligence to industrial systems. This is the core vision of the Industrial Internet. DDS is the right standard protocol to fulfill that vision because it provides both the extreme capabilities required by intelligent machines and the needed integration to extend to cloud-based analytics and optimization. Technology report by Real-Time Innovations.